The Violin School offers individual classical violin and piano lessons to children ages six and older at all levels. All lessons are taught by the Director. Students receive a 1/2 hour private lesson once a week. A Beginner Violin Class (limited to six students) is also available. A Winter and Spring Recital are held at the School. Private violin lessons are offered to adults at all levels on an ongoing basis. Please call the School to schedule. 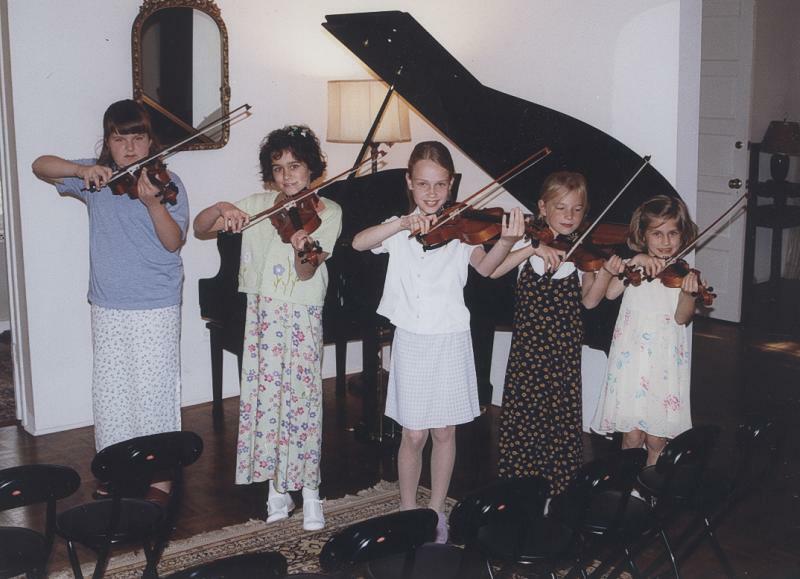 Violin students performing at a recital.